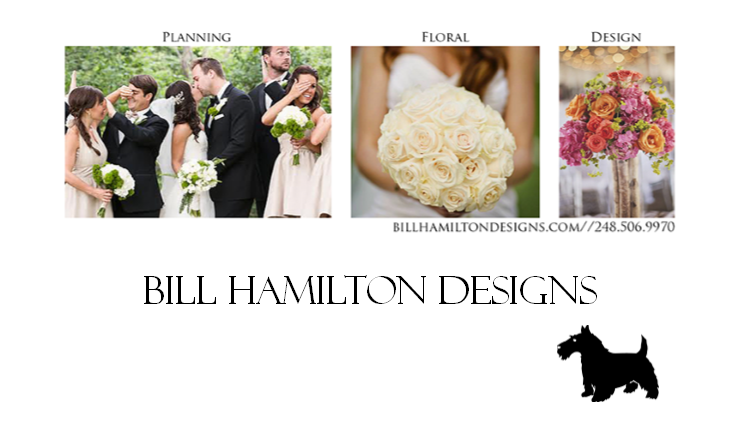 After working for many different companies, Bill Hamilton – Owner & President of Bill Hamilton Designs goes out on his own. It’s a dream come true. Starting out in Atlanta, GA with Flowers from Holland he decorated Christmas tress for clients like Toni Braxton and designed floral arrangements for clients such as Helena Bonham Carter. He then followed their top designers to start up another well-known florist in Atlanta- FoxGloves & Ivy. Bill has always been privileged to work for and with the best. Being in the wedding/events business for almost 20 years he has produced events as small as a dinner party for two, to events over 1,000. Starting up Bill Hamilton Designs was a natural step for him long in the making. With his southern up bringing, he recognized early that the client has a history and his job is to tell their story. He is passionate about delivering a product where guest know instantly who the event was designed for. He sits down with his clients and listens… that is his secret weapon. He cares! That is the bottom line he cares to produce an event that will fit into your budget and one that you are most proud of. Let them change your world!